On the occasion of the January 2018 Shankminds Mastermind, by Peter Shankman I interviewed Jeff Lenchiner, founder of the popular blog, Inside Hoops. 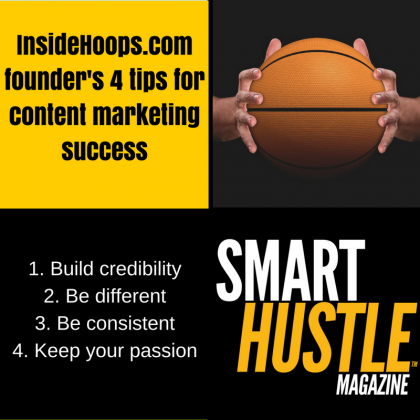 He shared with me four quick tips for how every business owner can get the most out of content marketing. Listen to the interview below. 2. Set yourself apart in some way. Everything's been covered on the Internet, so how are you different. 3. Consistency. Be regular in how you post content. People want to consistently hear your voice. 4. Passion. Keep what you're doing FUN, be sure your heart is still in it.